In the collection "Rebirth" fashion extravaganza meets sustainability - used leather jackets are reworked to fit new accessories and garments. Inspired by spacer knits and fabrics, the analysis of corrugated board and packaging materials laid the basis for the development of a number of structures. Two groups emerged: four corrugated and four square structures. Three-dimensional structures result from different bending and folding of individual layers. In addition, the individual layers are embroidered. The complete pattern is not visible until combined. The colors of the embroidery yarns have been chosen to support the lightness of the fabric as well as the easy, floating and fresh appearance of the spatial textile objects. 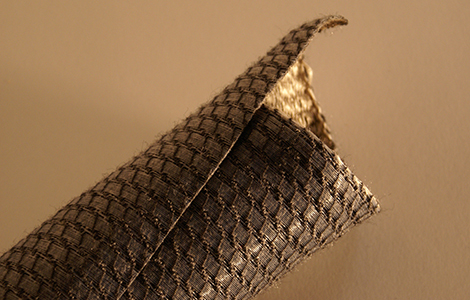 The right combination of material and molding technology allows the development of a variety of objects shown in the work of Caroline Seelinger, such as Perlon-wire-fabrics that can bend very well into waves, a polyester fabric that does not break when ironed and keeps its shape, and two flexible, differently structured, lighter fabrics. ﻿﻿This work is based on the philosophy of designing an aesthetically sophisticated, modern wallpaper collection, using purely graphic motifs, which is applicable for private living and work areas as well as for contract use. The formal design inspirations have been contemporary architecture and objects from the technical environment. These static and geometric shapes are combined with finely tuned color schemes. They are inspired by examples of elegant color schemes of Haute Couture lines and give the collection an additional harmonious and soothing effect. 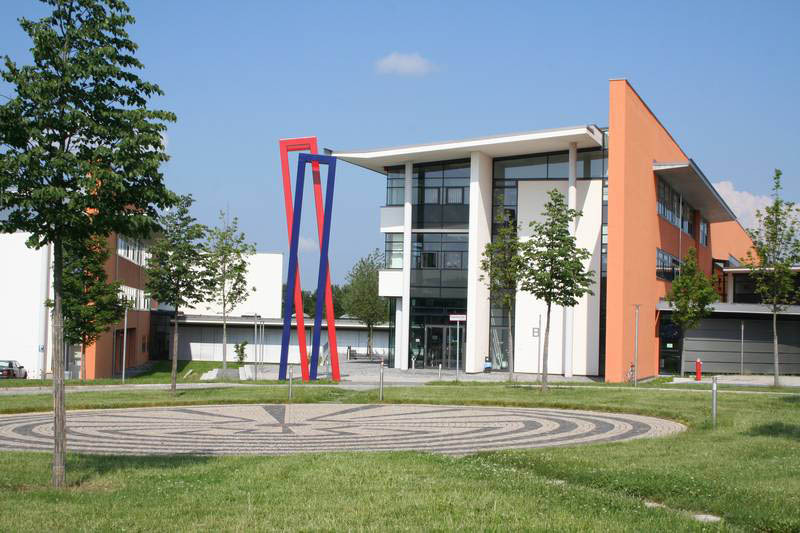 Anika Döring from Münchberg is one of the 17 winners in the category "University of Applied Sciences / Fachhochschule". 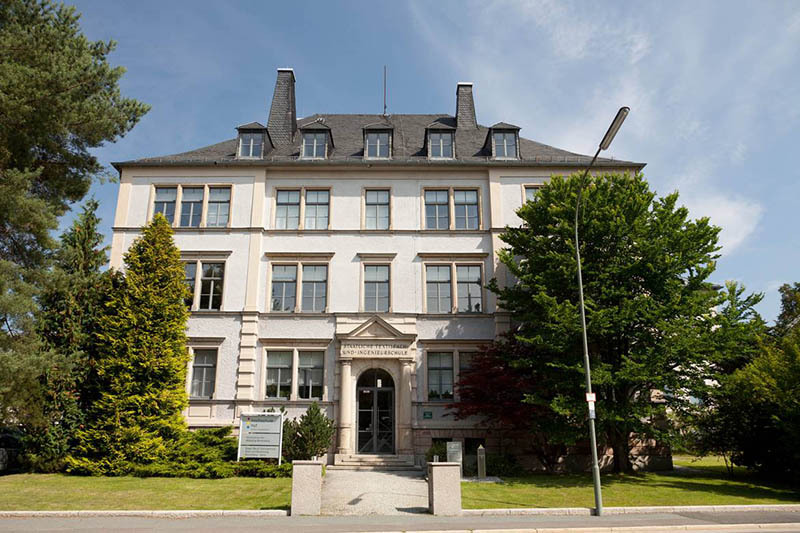 For her outstanding diploma thesis, she was awarded a prize of 3,000 EUR. The aim of this work was to produce pieces of clothing that exist as unique items and in no way can be produced “en masse”. The main intention of the implementation was to align the design process, regardless of current fashion trends, and to produce highly intuitive and experimental timeless pieces. 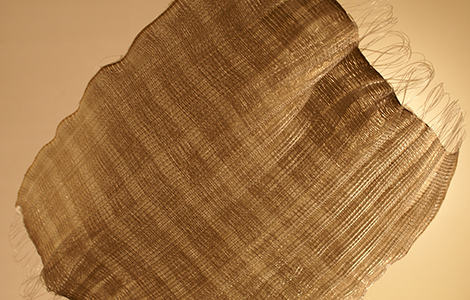 In the course of the manufacturing process, unique different individual modules of cloth were created, which only formed a piece of cloth by combining them in an additive manner. Due to the unconventional approach, the unique pieces were sewn without cutting templates. 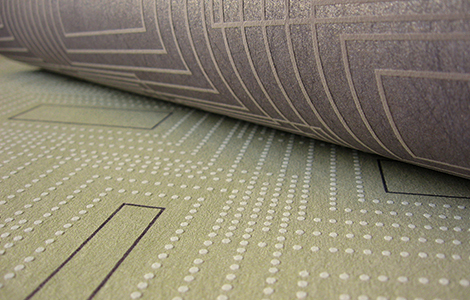 Inspired by organic forms of nature and its color spectra, diverse fabric modules emerged. Above all, the versatile structures of floral elements have been used. Stefanie Wider’s competition entry “STRUKTURKULTUR” (STRUCTURE CULTURE) creates new surfaces by the use of textile belts, which are attached without a firm contact to a carrier material, perforated by the technology of waterjet cutting. For this purpose, water is compressed at very high pressure and focused into a thin stream. This can cut any figure, even in particularly hard and thick materials. With this treatment, the material undergoes no chemical stress, which could lead to discoloration. The belts are incorporated directly into the perforated base and remain flexible. 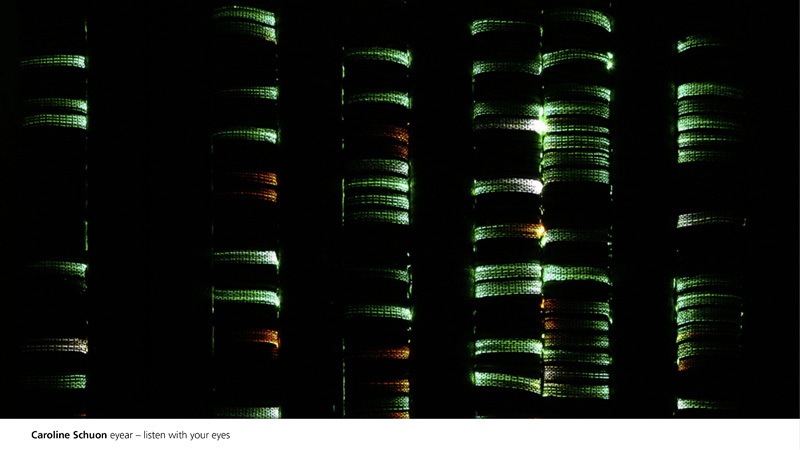 As carrier material, the 24-year-old textile designer mostly uses leather or felt. 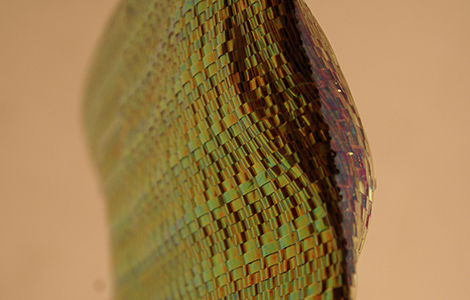 In this way, Stefanie Wider produces a variety of surfaces with unique patterns, different on front and back. 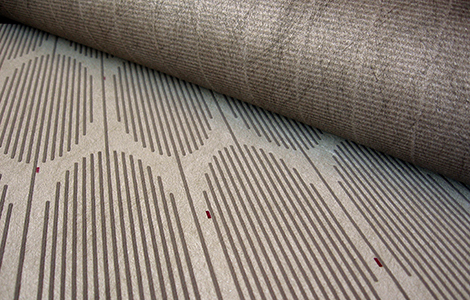 The materials can be used, for example, in fashion and in interior design. 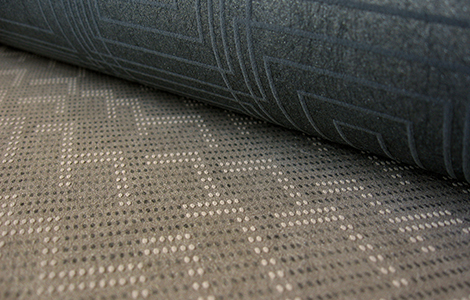 This is the woven collection “Insight Inside”. 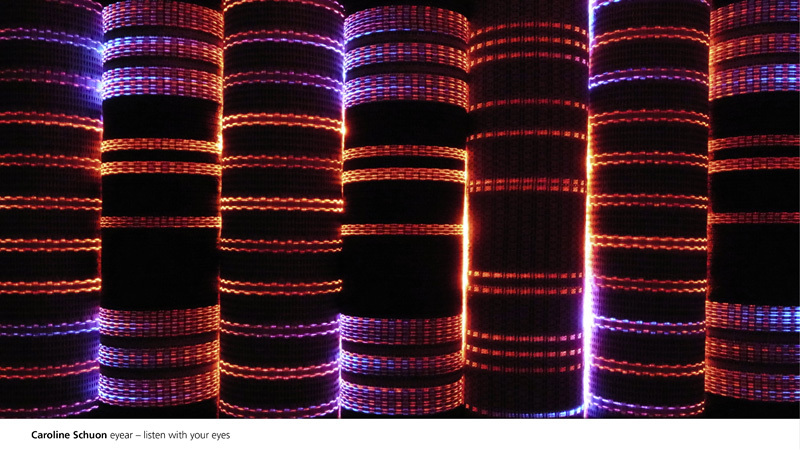 It is aimed at exploring and developing woven structures. In this project, fabrics made from several layers were created, which provided a view of hidden layers by the use of transparent materials as well as through openings in the fabric structure. 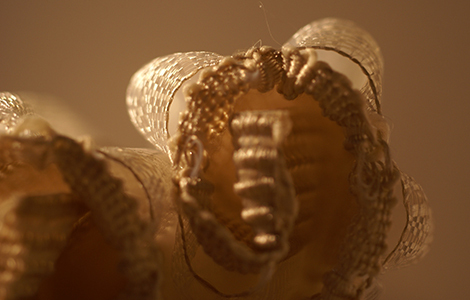 By applying appropriate weaving structures and elastic materials, the tissues form independent sculptural shapes. 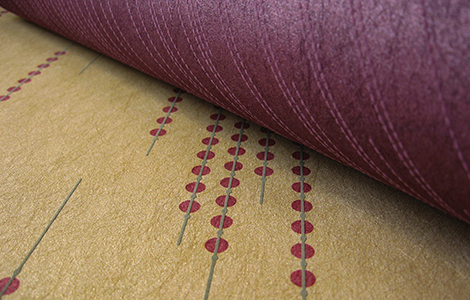 The collection includes 15 fabric examples, produced on a handloom. Its implementation on power looms can be seen as another challenge. The functional use of the viewer was deliberately left open. The fabric collection “Insight inside” is characterized by versatility and advancement of weave structure technology, as well as the multi-faceted combination of materials. So, the finely-tuned interplay of natural and synthetic yarns again and again produced new aesthetic forms of expression. As a result, it may offer future possibilities for sustainable design.